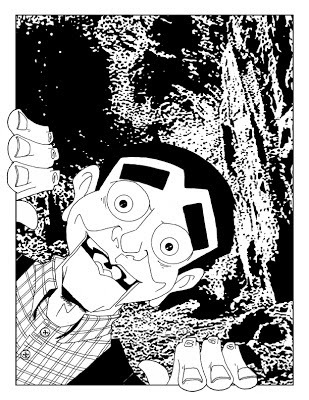 This is the first page of a Cornerstone Short Story that will appear in my next trade... which I have not decided yet if it will be an Anthology of Cornerstone stories or One Large story with a back up or two... just don't know till it's done... ughhhh. Anyway, this story was inspired by an audio book Avery and I listened to twice on the way up and back down from New York. A book by Clive Barker called MISTER B. 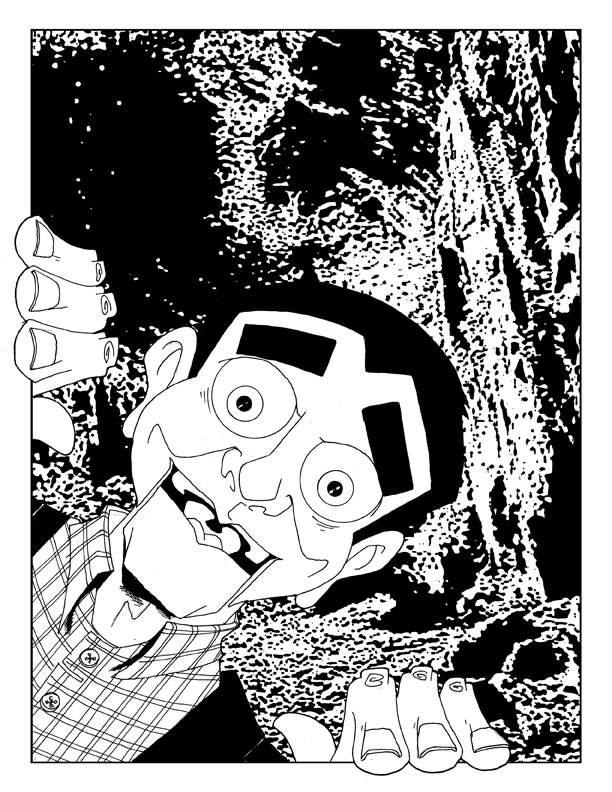 GONE about a demon trapped in a book who narrates his story to you through the book. I made a plan that as soon as I got back from NY I would focus on my new Cornerstone trade... and I'm doing it. Here are pages 1-3 of the new story. I know I posted page one before but I re-did the whole thing from scratch. 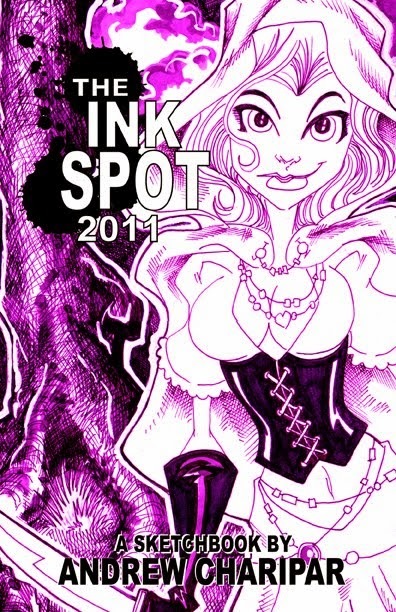 The first time as all digital, this time as all traditional pen and ink. 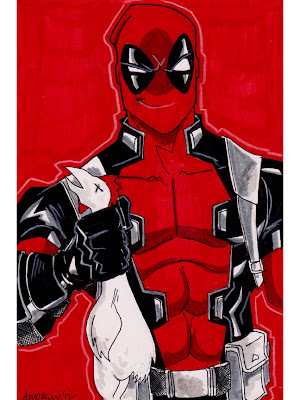 Sketch 108 of 100... Deadpool! 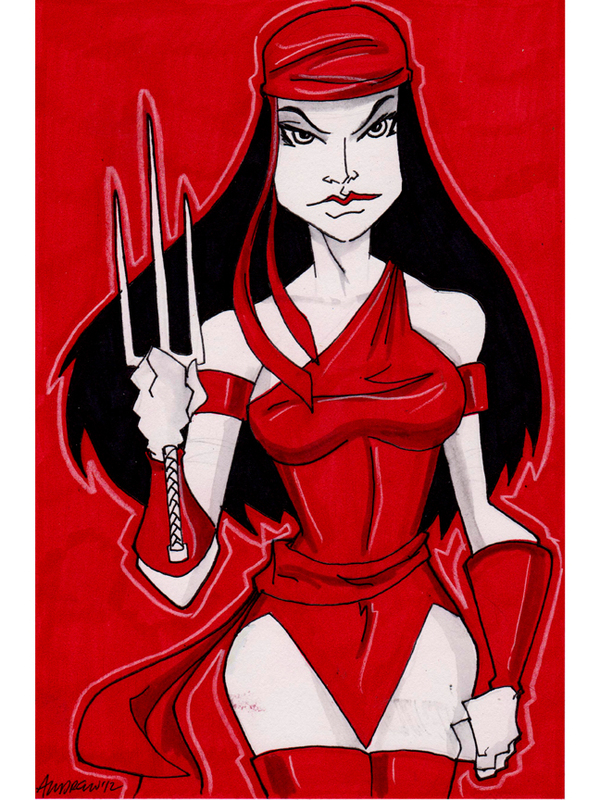 Sketch 107 of 100... Elektra! 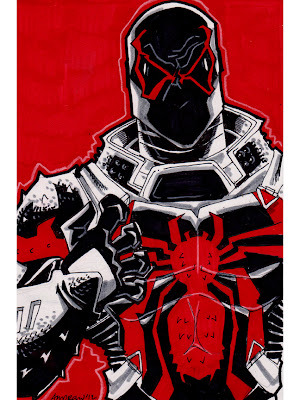 This is the forth in the series inspired by the New Thunderbolts. 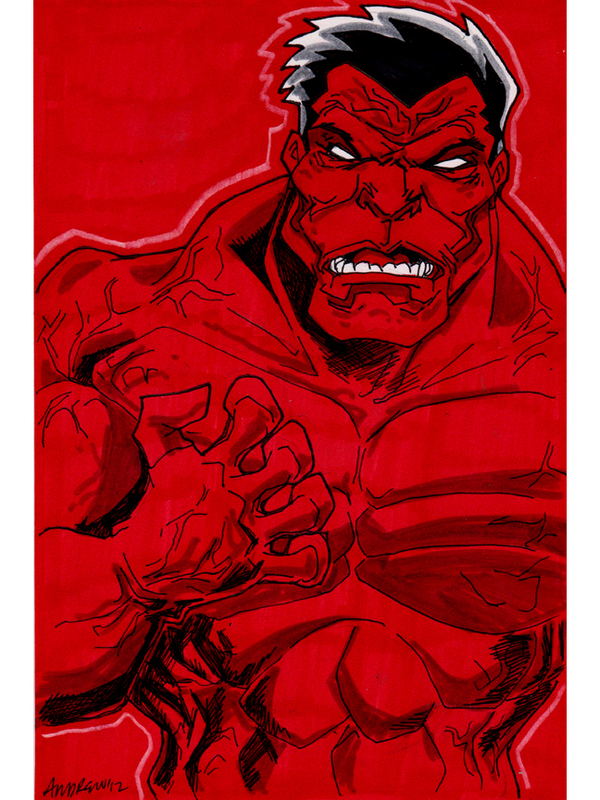 Sketch 106 of 100... Red Hulk! 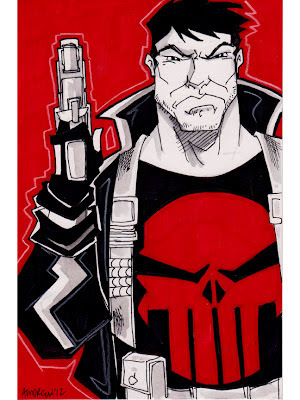 This is the 2nd (technically the 3rd but I am re-doing the Punisher) of my New Thunderbolts series. These are full color on 9x6 for the New York Comic Con. Sketch 105 of 100... Venom from the New Thunderbolts! This is the second in a series of 5 featuring the characters from the new Thunderbolts. This one is Venom. I am going to re-do the Punisher. I liked the idea but I did not like the way it came out. I am going to ditch the watercolor paper and the watercolors and cropped back in the heads (not sure what I was trying to go for there... maybe I figured everyone would recognize who the characters are even with out the top of their heads... he he). Sketch 104 of 100... Punisher! This is going to be a series of color sketches (well, partially colored) based on the new Thunderbolts from Marvel Comics. 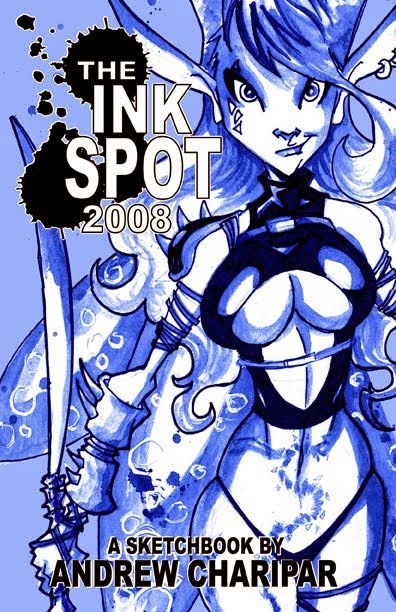 Plus, I have a pad of watercolor paper that I want to use up and this is a great opportunity to do it. 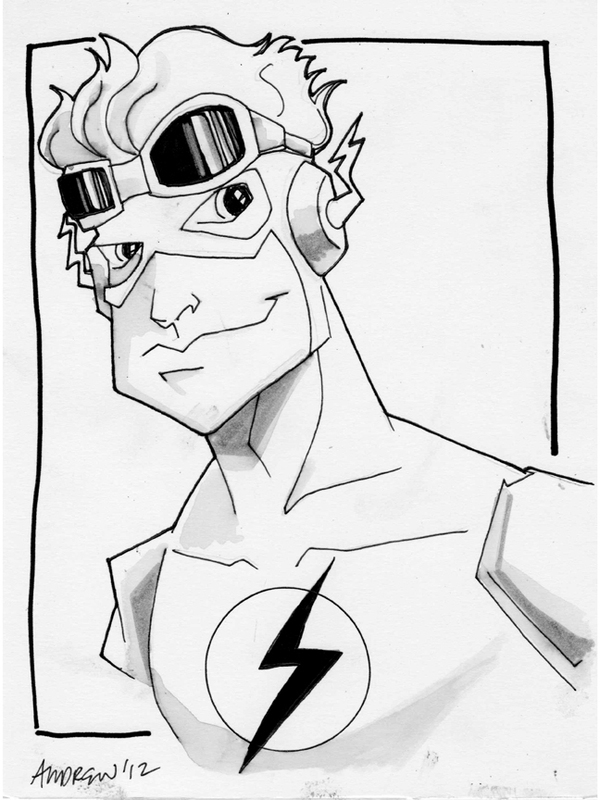 This is also a 9x6 sketch that will be available at the NY show. Sketch 103 of 100... Kid Flash of Young Justice! 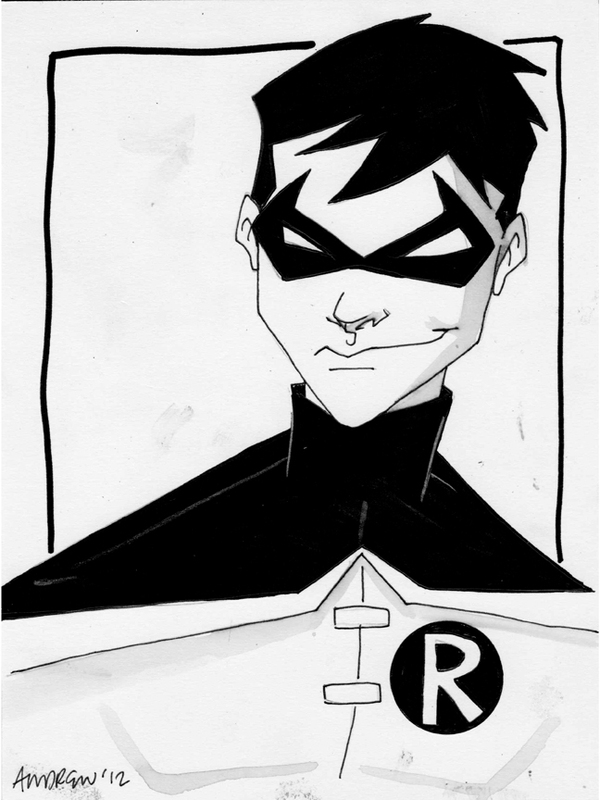 Sketch 102 of 100... Robin of Young Justice! I recently picked up a 6x8 sketch pad and figured I might do a couple of quick easy sketches for cheap sale at the NY Comic Con. These sketches will be great for kids and I am aim them at kids... hence Young Justice characters. 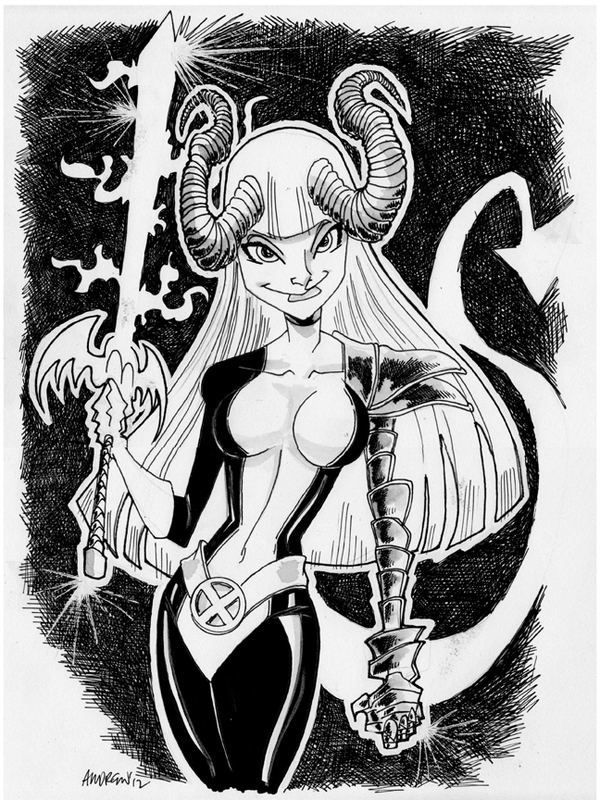 Sketch 101 of 100... Magik from the New Mutants! Ok, so I knew if I could I was going to go for more than 100 in 101 days and this is number 101. Not to be outdone by the Serpenta sketch I did for my friend Rich, this one is for my friend Jamie Fay. Jamie collects X-Women and this one has been a favorite of mine for awhile and the first time I have ever drawn her. Bet you didn't think I'd make it, huh? Sketch 100 of 100... Serpenta from the Sentinels! 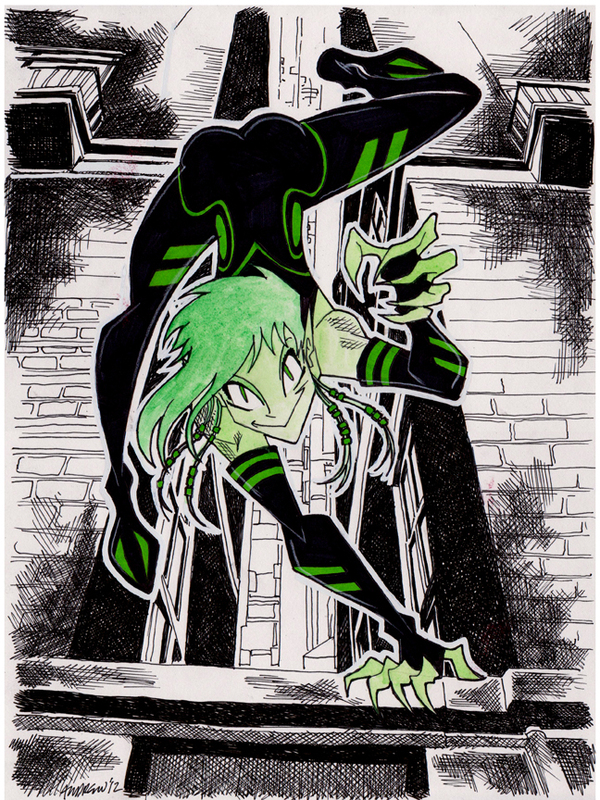 First, Serpenta from Rich Bernatovech's Sentinels is a Green skinned character (perfect for Illustrious Bits Week 37). 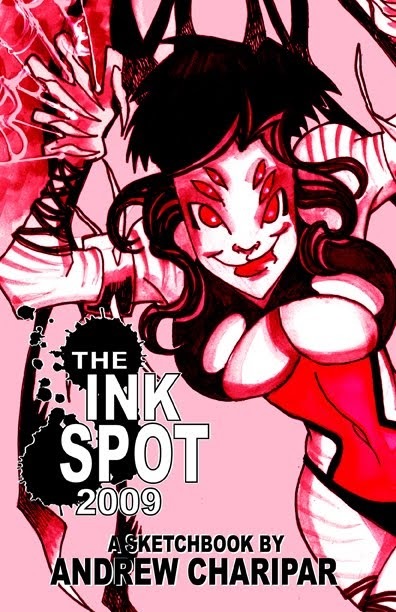 Second, it's the perfect gift for Rich, who I will be seeing next week at the New York Comic Con and third... It's my 100th sketch in my 100 Sketches in 101 Days. Whoo Hoo!